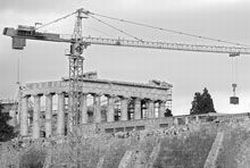 Athens Mayor Nikitas Kaklamanis on Friday toured forested Lycabettus Hill, located in the heart of the congested Greek capital and overlooking the Acropolis, to review regeneration works in important green space. The Μunicipality is carrying out nearly 700,000 euros worth of regeneration works on Lycabettus Hill, part of efforts to upgrade the metropolis’ overall natural environment. Some 500 trees and 34,000 bushes have so far been planted in the area. “The trees were specifically chosen for their ability to withstand the city’s climatic conditions, and I personally was enthused to see that almond trees, which are in bloom, have been planted at two sites … infrastructure works are also being conducted at Lycabettus. This endeavour, initiated by the previous municipal administration, is now complete … I am certain that Athenians will notice the difference when they come up to Lycabettus on Clean Monday (Kathara Deftera),” Kaklamanis said, in reference to the religious holiday on Monday, ending the Carnival season. 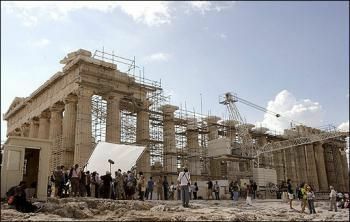 A long-delayed new Museum in Athens where Greece hopes to reunite its ancient Acropolis masterpieces with the Parthenon Marbles [so-called Elgin Marbles, currently on display at the British Museum] will open in September, officials said Wednesday. 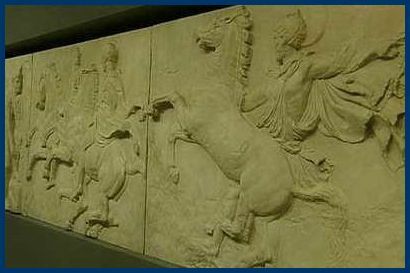 The so-called Elgin Marbles – or Parthenon Sculptures – were stolen [illegally removed] from the Parthenon temple by Scottish diplomat Lord Elgin in the 19th century, when Greece was still an unwilling part of the Ottoman empire. The museum in London has repeatedly rejected Greek calls for their return. 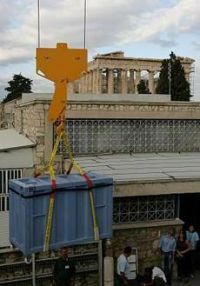 Liapis said a delicate operation to transfer hundreds of priceless statues and thousands of smaller pieces from the old museum on top of the Acropolis hill to the new building would be finished by the end of March. 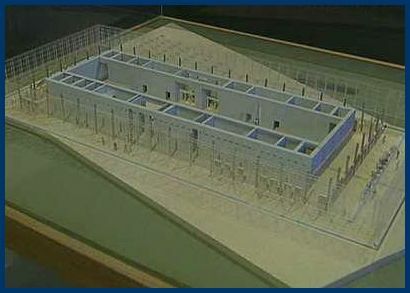 The $190-million Museum was initially scheduled for completion in 2004 but was delayed by legal wrangling and archeological discoveries on the central Athens plot at the foot of the Acropolis. Museum director Dimitris Pantermalis said the focal point of the exhibition, sculptures from the Parthenon that escaped removal to Britain and other European countries, would soon be placed in its final position in a glass hall at the top of the building. “In a few weeks we will complete the trial installation of copies. which will help us resolve all issues regarding the display, and will then replace them with the originals,” he said. The Parthenon was built between 447-432 BC in honour of Athena, ancient Athens’ patron goddess, and was decorated with hundreds of sculpted figures of gods and participants in a religious procession. 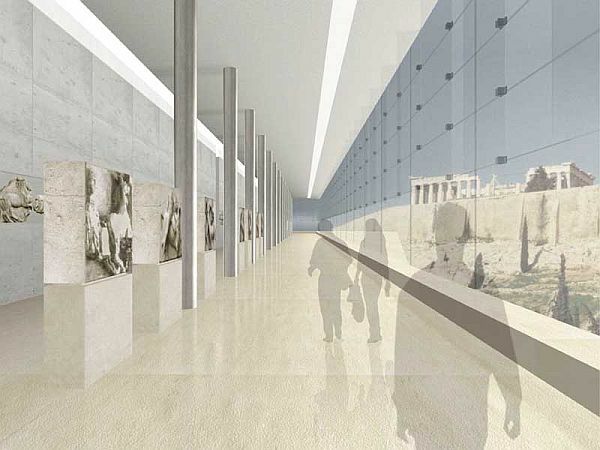 Designed by U.S.-based architect Bernard Tschumi in collaboration with Greece’s Michalis Photiadis, the new Acropolis Museum will contain more than 4,000 works, 10 times the number on display in the old museum.